After announcing its sub-$100 Moby tablet in March, Marvell is prodding developers who create apps for devices like the iPod, iPhone, and Android phones to dream up software for its gadget. Starting Sunday, for a month, the chipmaker is accepting submissions for the Mobylize 100K Challenge. After announcing its sub-$100 Moby tablet in March, Marvell is prodding developers who create apps for devices like the iPod, iPhone, and Android phones to dream up software for its gadget. Starting Sunday, for a month, the chipmaker is accepting submissions for the Mobylize 100K Challenge, a contest for developers to dream up ideas for educational apps that will engage and teach children math and science, geography and social studies, grammar and spelling, and more. The 512 MB and smaller apps must be developed for the Android platform (which is what the Moby runs on), require multi-language options, and need to have a Web-based component. In addition, they encourage developers to include social networking features, so that students can collaborate with one another while they learn. The winning entrant–who has to pitch both a concept, as well as demonstrate his or her ability to actually execute the app–will win $50,000. Second place and the third place proposals will garner $30,000 and $20,000, respectively, and winners will be announced at January’s Consumer Electronics Show. Hayes notes that Marvell will try to find ways outside the bounds of the contest to secure funding for all the great ideas it receives. The 100K Challenge is the latest of Marvell’s recent education-centered efforts. Since Intel left the effort in late-2007, Marvell is the largest corporate backer of the One Laptop per Child association. 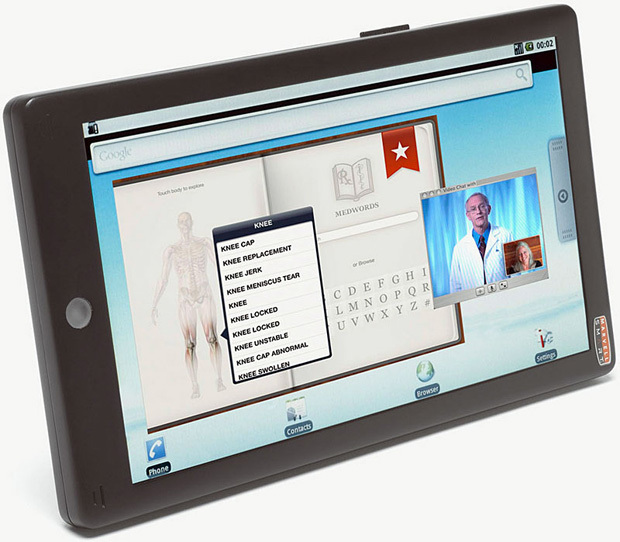 Last week OLPC announced that Marvell is giving it $5.6 million to develop its XO 3 tablet computer. Recently, Marvell has reached out to chief technology officers at school districts around the country to introduce its Moby tablet and discuss opportunities for introducing new technologies to the classroom. Hayes forecasts that a pilot program introducing the Moby in certain schools in low-income areas will likely begin in fall of 2011.